Let’s say I started a blog that reviews and reports on home meat smoking equipment. I’m at the beginning of my blogging journey and I’m focused on creating excellent content for those interested in smoking their own meats at home. I’ve been creating content — blog posts, recipes, graphics, videos — that I’m sure my target audience loves. But I just can’t seem to get that much traffic to my website. This is the number one problem for new blogs. They create awesome content that no one appears to be interested in, they get discouraged, and then they quit. So how can I get more traffic and eyes on my content? One effective way of getting your content seen by more people is through content syndication. Content syndication is a term for re-posting your content on websites that accept guest contributions. Syndication websites allow you to post the same content you have on your blog, capitalize on their audience, and link directly to the original post. It’s a relationship where the syndication website receives more content and you receive more eyes on the content you create. Content syndication is effective because 1) your content is seen by a new audience and 2) it directs traffic back to your website. To get you started here are 6 places you can syndicate your content. If you’ve never heard of Reddit before you've likely been under a rock with a bad WiFi connection. Reddit is one of the most diverse interest networks on the internet. 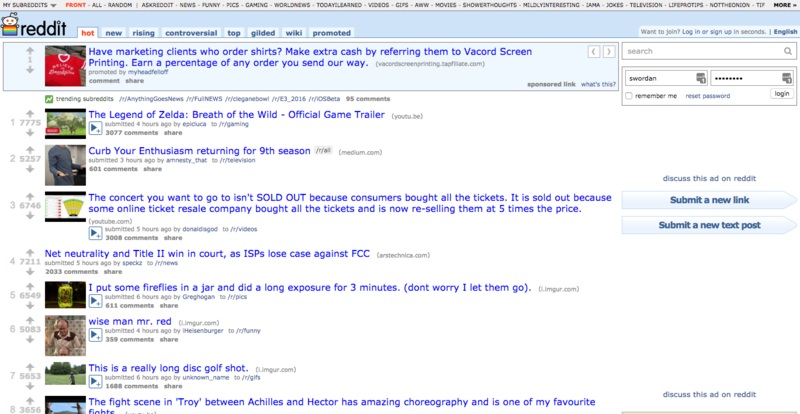 Reddit has what they call subreddits, which are basically forums based on a particular interest or topic. To date, Reddit has about 36 million users that span across 853,824 subreddits. What makes Reddit a great network to be a part of is its diversity and the level of engagement from users. There is literally a community for every interest under the sun on Reddit. Thinking of starting a business? Check out reddit.com/r/Entrepreneur. Do you enjoy smoking your own meat at home? Check out /r/smoking. Are you a fan of bears doing human things? Check out /r/bearsdoinghumanthings. You get the point. StumbleUpon is a site for content discovery. After signing up with the service and selecting your interest, StumbleUpon will serve you content related to those interests. Note that StumbleUpon does not host content, instead it directs users to websites. However, users can also submit their own links to be “stumbled upon.” StumbleUpon will then serve that content to its users according to the category you've put it in. 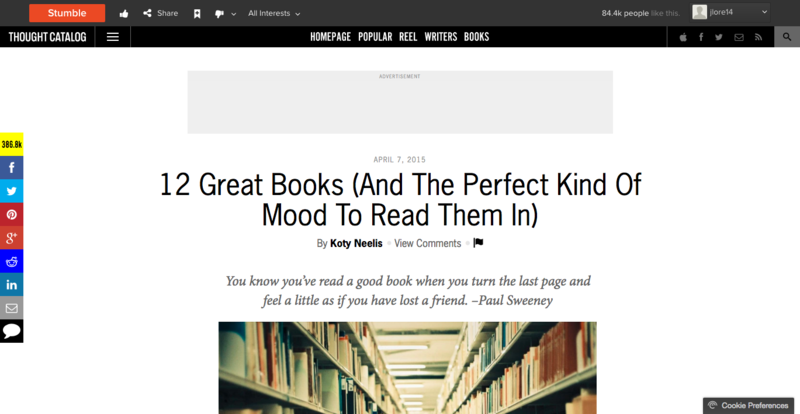 Articles that receive more “thumbs up” will be served on StumbleUpon more, so make sure to submit content that will resonate well within the category. Facebook and LinkedIn have grown beyond the simple social networking channels they started as. Each is trying to aggregate content on their own platform so users never have to leave. Facebook Instant Articles allows publishers to host their content directly on Facebook. These articles have the benefit of zero load times when viewed on Facebook, resulting in a better user experience. 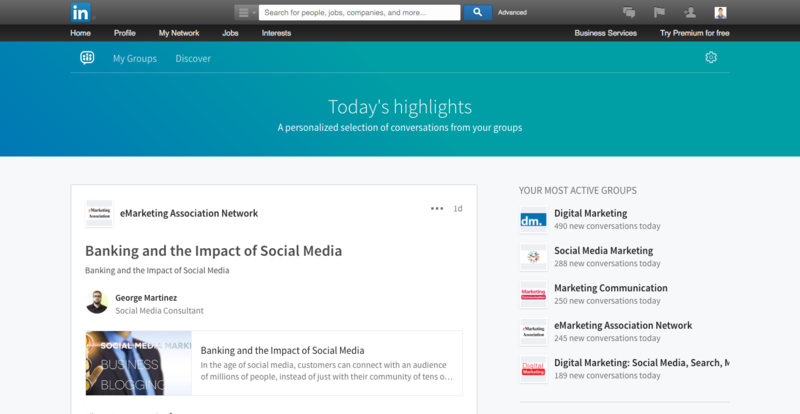 LinkedIn Pulse articles are similar but on a network filled with business professionals. Depending on your audience it may be beneficial choosing one or the other. Businesses with large followings on these platforms have started using Facebook and LinkedIn as another channel to reach new audiences. Consider publishing your content directly on Facebook and LinkedIn to capitalize on the large amount of users on the platforms and the priority you’ll be given for doing so. 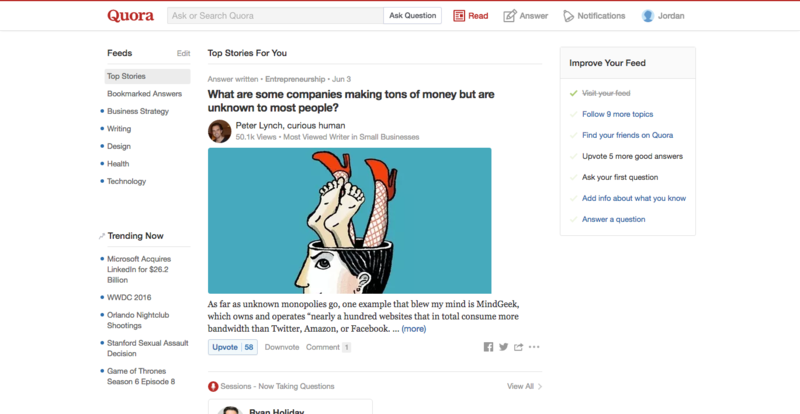 Quora is the most popular question and answer site on the internet. Simply search for topics and questions related to your industry and offer a helping hand. If your business has set out to solve a common problem, as it should, there will be people out there looking for your solution. Quora is the place where you can make people aware of your solution. Start by selecting your interests and then search for related questions on the topics you have expert knowledge on. Answer the questions as best you can but consider directing viewers to a blog post on your website for the full answer. To learn more about using Quora, check out our article on "How We Answer Quora Questions to Drive Traffic to Our Website". Medium is social media platform for lovers of long-form content. 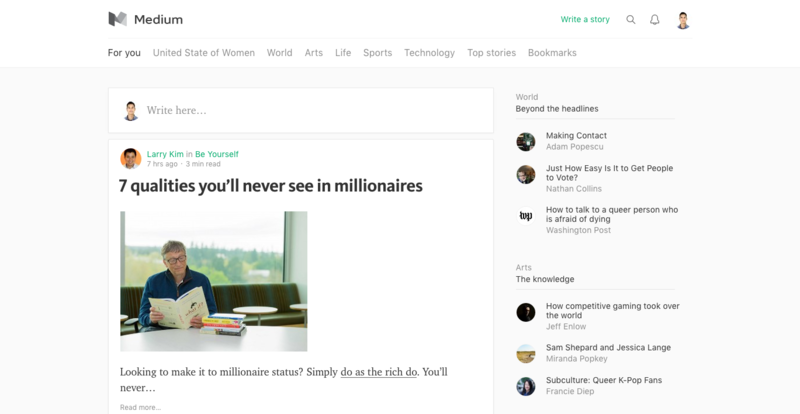 On Medium you’ll be able to syndicate all of your lengthy blog posts and become a well-known contributor on a certain subject. If your content strategy is focused on long form blog posts then Medium might be for you. Medium is great for connecting with like-minded people in your niche but make sure that it’s where your target audience is as well. 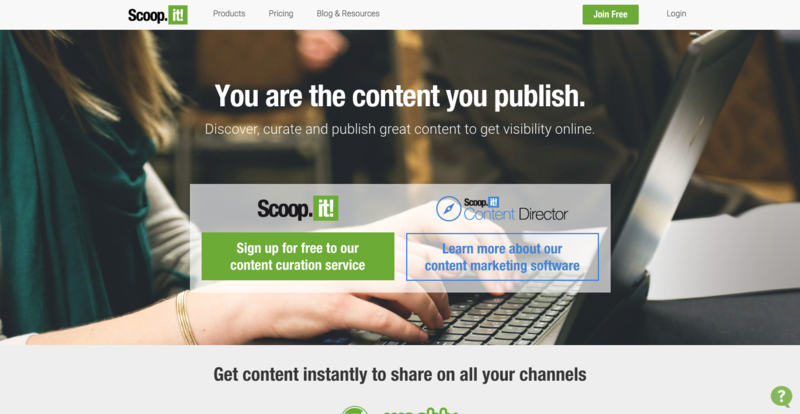 Scoop.it is another content discovery platform for content marketers. They offer content tools that make curating new content for audiences easier. On Scoop.it you’ll be able to submit links just like StumbleUpon and have your content suggested to users. If there is an audience out there looking for the content you’re producing, a site like Scoop.It helps them find it. After you’ve written an awesome blog post remember that your work does not end there. It’s important to have plan for your content to be seen by your target audience and content syndication is a great way to do it. Content syndication works well because 1) your content is seen by a new audience 2) it directs some traffic back to your website. Use these 6 content syndication websites to get more eyes on the work you’re doing and to reach more of your target audience. What are some of the website you share your content to? How is it affecting your traffic? Let us know in the comments!